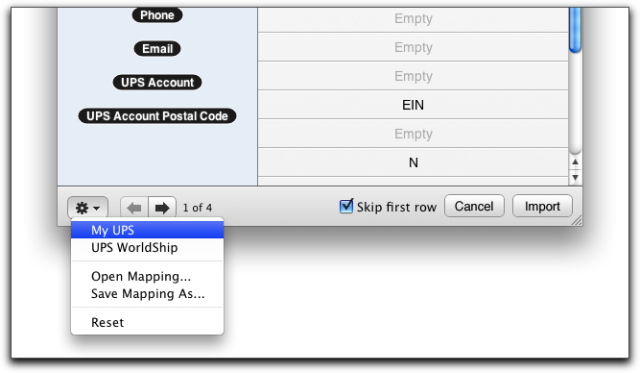 NRG: Mac & FileMaker Shipping Software :: How do I import a "My UPS" address book to NRGship UPS? 2. 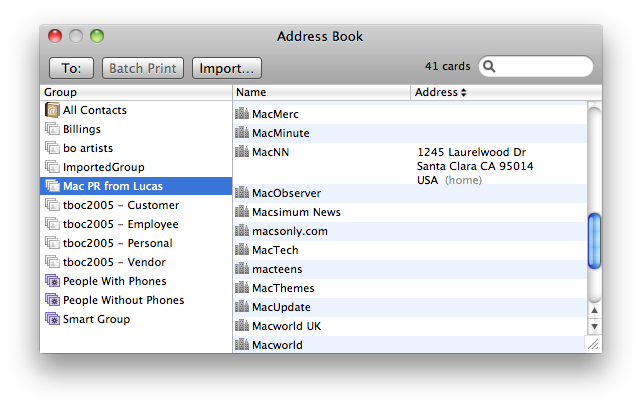 The Import button is in the menu bar of the Address Book window. 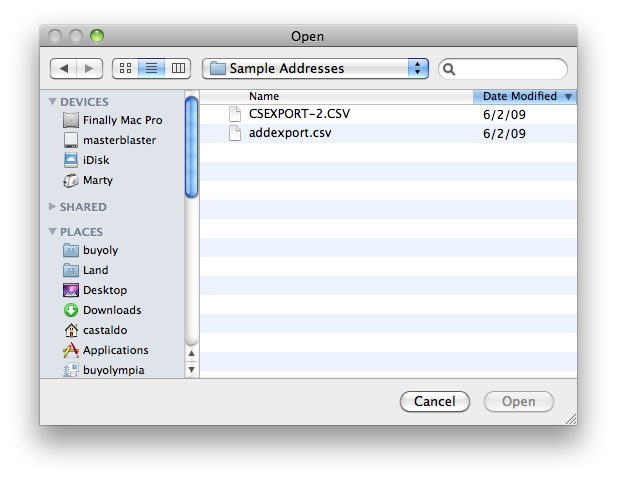 Clicking Import will bring up a file-picker window that will let you select the file you'd like to import. You'll want to locate and select your My UPS export file. 3. Once you've selected your file to import you'll choose My UPS from the option drop down on the lower left of the screen for your file-mapping layout and click Import. 4. When complete, the import creates a group called "My UPS Import". 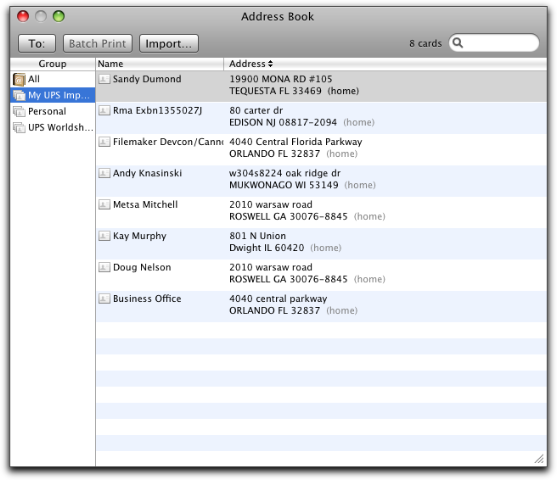 You can now select and ship to any of the addresses within this new group.